As the Community Groups Director at Cross Point Franklin, Karyn is devoted to Christ and helping others find an authentic community with Him at the center. 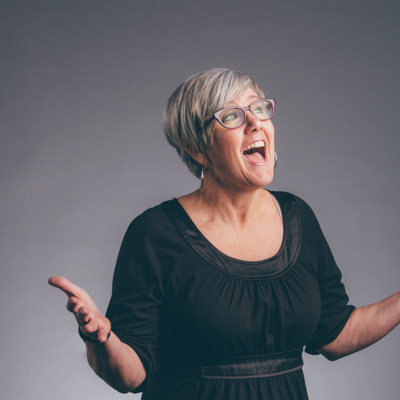 Karyn is enthusiastic about connecting Franklin to community because she knows that life is both tragic and wonderful and is grateful it was never God’s plan for us to do it alone. In Matthew 18:20 Jesus says, "When two or three come together in my name, there I am among them." Karyn truly believes that community is God’s best for us and is honored to help navigate that process. She is also a Christian Life Coach and is passionate about supporting Group Leaders and Coaches as they serve and love others in community. Born and raised on the north side of Chicago, Karyn stepped out in faith in 2013 when she left a career in non-profit management and moved to Nashville with her husband, Scott. After experiencing her first winter in Nashville, she has never looked back!